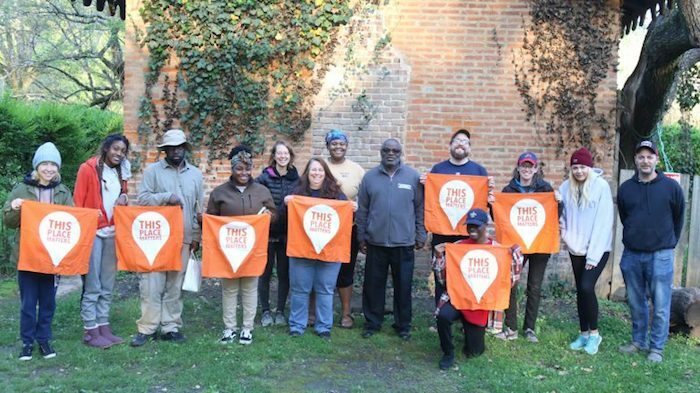 Ten University of Mississippi students and two professors spent a night recently in sleeping bags in the old kitchen behind Rowan Oak, home of Nobel Prize-winning author William Faulkner, as part of the Slave Dwelling Project. The project’s founder, Joseph McGill, has worked for nearly a decade to identify and assist property owners, government agencies and organizations to preserve existing slave dwellings. “We as a nation like to preserve buildings, especially antebellum buildings,” McGill said. “People aren’t as interested in preserving the buildings that housed slaves because they take us out of our comfort zones. McGill hopes that by bringing awareness to these dwellings and partnering with historians, students, faculty and the general public, a more complete story of history, one that includes African-Americans, can be told. A descendent of slaves himself, McGill has stayed overnight at more than 100 slave dwellings in 16 states to create a conversation and try to imagine what life was like for the enslaved people living on plantations across the country. “The most valuable and powerful part of these sleepovers is the conversation about slavery and the legacy left today on this nation,” he said. 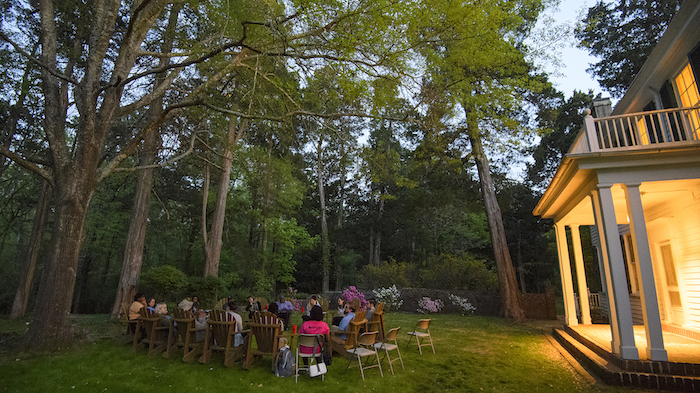 The students and faculty began their evening in Adirondack chairs set in a circle to discuss racial problems in the U.S., segregation and racism. The group stayed in the old kitchen in sleeping bags on the floor as the temperature dropped into the mid-40s overnight and all elements of nature awaited just outside a layer of brick. Powell developed an interest in the experiences of enslaved people when he worked on a project for a history course, “The Rise and Fall of American Slavery, 1619-1877.” The project involved looking through census records of his ancestors. The sleepover offered students an opportunity to engage in meaningful conversation around slavery and its legacy, said Anne Twitty, an associate professor of history who participated in the activity. “It was really inspiring to watch my students share their experiences as white and black Southerners so respectfully,” Twitty said. “Although white Americans tend to think that conversations about slavery and race are necessarily uncomfortable, the reality is that a willingness to listen goes a long way. The UM Slavery Research Group collaborated with other departments on campus, including the Center for the Study of Southern Culture, to bring McGill to campus. The research group is working to identify enslaved people in north Mississippi to discover more about their daily lives. Last year, UM anthropology students excavated part of the grounds at Rowan Oak near the plantation’s pre-Faulkner slave dwelling, known as the old kitchen. For more information about the UM Slavery Research Group, visit http://slaveryresearchgroup.olemiss.edu. To learn more about the Slave Dwelling Project, visit http://slavedwellingproject.org.